The Travelon Classic Plus Hanging Toiletry Kit is made from 1260 denier nylon with top-grain leather trim. It Features classic top zip styling, the roomy main compartment holds all of your shaving and grooming gear. The mesh wall pocket holds your comb, nail file, or other small items that you want contained. The front zip pocket holds a razor or toothbrush and is lined with pvc for easy cleaning and water resistance. 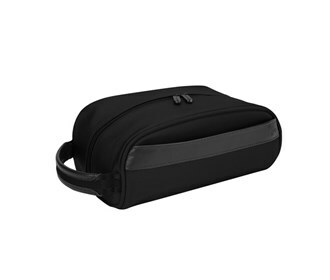 The Travelon Classic Plus Top Zip Toiletry Kit-Black has many exciting features for users of all types. 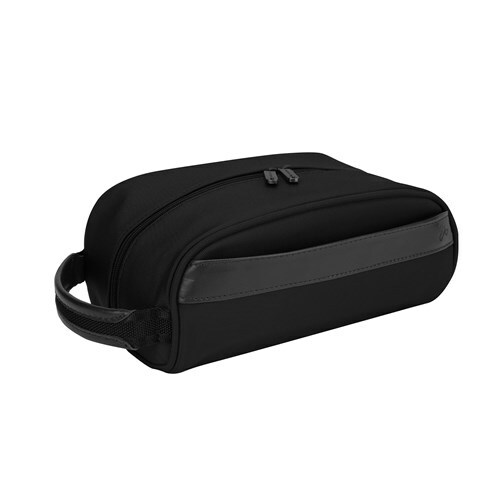 You can extend the lifetime of your Travelon Classic Plus Top Zip Toiletry Kit-Black with the purchase of a FactoryOutletStore Factory Protection Plan. The Travelon Classic Plus Top Zip Toiletry Kit-Black is sold as a Brand New Unopened Item.